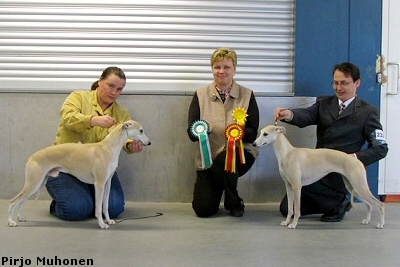 Mojo, Int Ch Taraly Stairway To Heaven EXC/1, Best dog, CC, BOS & new Finnish Champion! Hilla, Whiptails Pocahontas was BOB, got CC and later BIG-4 !! 01.05.2006 Magnificent news from France! Mojo, Int Ch Taraly Stairway To Heaven participated in Lure Coursing competition with truly fantastic result: 2nd and RCACP! Now he can also add French Ch title to his official titles. Many congratulations Tamara & Taraly family!! 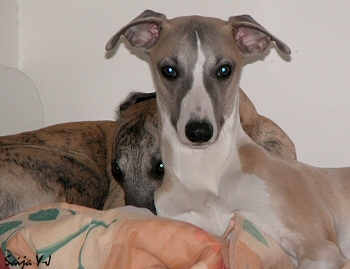 25.04.2006 Our kids, Honey-Emerson puppies are now 9 months old! Happy "birthday" Emil, Ida, Kille, Salttu and Wili! 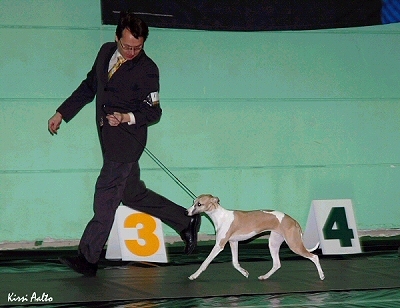 21.04.2006 FCI has now confirmed Loulou's Int Ch title! 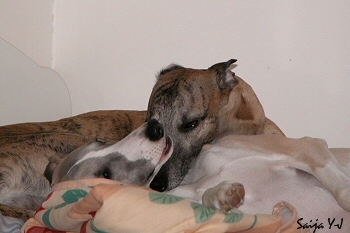 Loulou is now officially Int Fin Est N Ch EstW-05 NW-05 Whiptails Lullaby Sky. Heartfelt congratulations and thanks to her owners!! 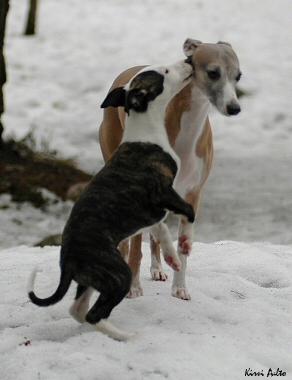 09.04.2006 Néo, Taraly Beloved At Whiptails arrived to Finland! 06.04.2006 Pelle, Int Ch Siphra's I Do I Do I Do is celebrating his 10th birthday today! Happy birthday, Pelle and siblings! 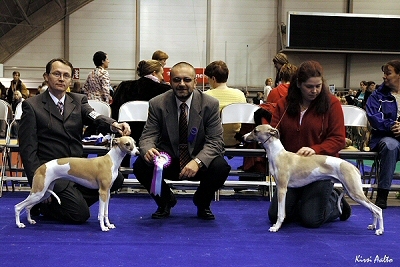 Whippet puppies were judged by Ray Lindholm, Sweden. 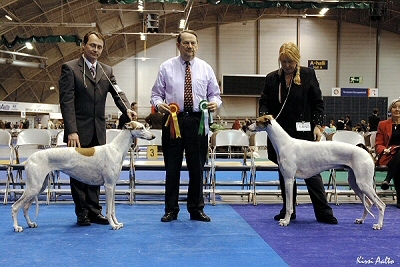 Adult Whippets were judged by Per Lundström, Sweden. 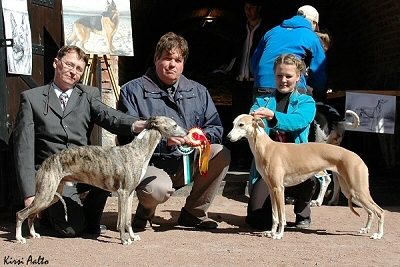 Greyhounds were judged by Outi Piisi-Putta. Winter is turning little by little to the spring...The sun was shining brightly in Ilmajoki today. Take a look at the photos - walk on the fields.